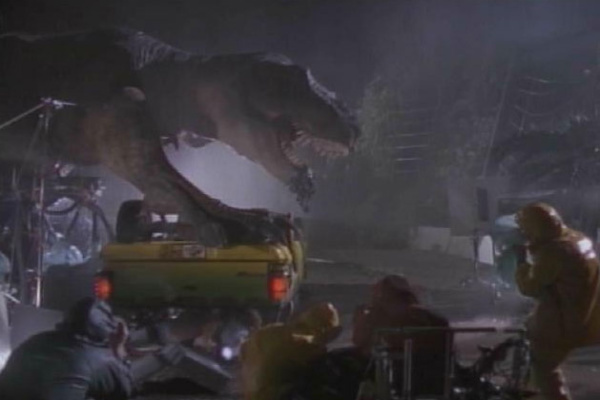 Jurassic Park Trilogy photos. Various images I found on the Internet. Wallpaper and background images in the Jurassic Park club tagged: jurassic park dinosaurs tyrannosaurus rex behind the scenes tour. This Jurassic Park photo contains triceratops. There might also be feu, flammes, enfer, inferno, écran de fumée, pare-fumée, paravent, moteur à combustion interne, de la glace, and glace.